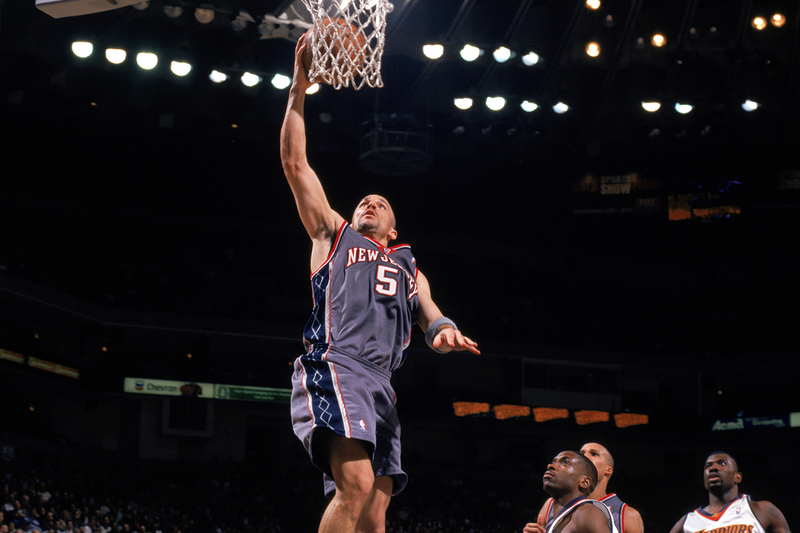 During this week 16 years ago, Jason Kidd delivered one of the most prolific scoring performances of his Hall-of-Fame career, dropping 41 points as a member of the New Jersey Nets against the Golden State Warriors. J-Kidd scored from everywhere on the court shooting over 57 percent from the floor, knocking down four three-pointers and converting all seven of his free throw attempts in the game. Scoring wasn’t all Kidd did against the Warriors as he also dished out seven assists and recorded two steals in the Bay Area. Unfortunately, Kidd’s Nets came up short, falling 105-97 to the Warriors. However, the performance in the game by Kidd ended up being the second highest scoring total in his 21 seasons in the NBA, and one of two times he broke the 40-point mark. Additionally, Kidd’s scoring average throughout the 2002-03 season was the highest of his career at 18.7 points per game as he led the Nets all the way to the NBA Finals.